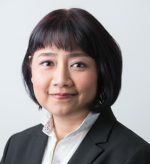 Yvonne Janet Schelkis-Sweeney is a Barrister-at-Law (Middle Temple), a lawyer with 18 years of experience as an Advocate and Solicitor as well as a Commissioner for Oaths in Singapore. She speaks English, Mandarin and Malay. Yvonne has extensive experience in the areas of Family and Estate law. 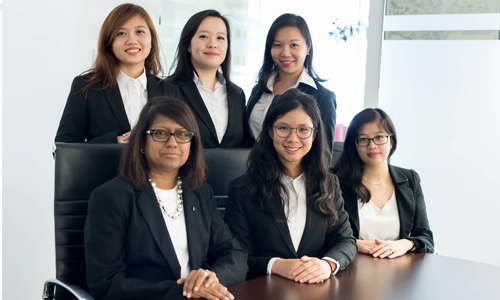 Her objective is to provide a holistic, expeditious and cost effective long term solutions for all of her clients. She is recognised for producing her work in a timely and meticulous manner. Yvonne has the ability to cut through the legal jargon and explain procedures simply to her client, so that they understand where they are at and what is expected of them at each step of their matrimonial matter. She believes that children’s welfare should be the paramount consideration in any divorce (where there are children), strongly advocating Mediation in every divorce matter instead of the adversarial approach. She is a trained Mediator and has conducted as well as assisted in some high profile Mediations. Yvonne has a vast amount of experience dealing with all issues relating to Wills, Probate and Estate Administration matters. 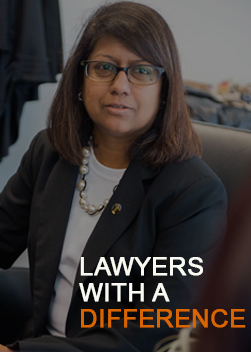 She has conducted numerous applications for the appointment of Deputies (under the Mental Capacity Ac), drafting of complicated Wills, and applications for Letter of Administration and Grant of Probate matters. She has conducted numerous Talks in the areas of “The Benefits of Having a Will Drafted by a Lawyer” and “Estate Planning” for Real Estate Agents and the local community. She also has a keen interest in Entertainment and Sports Law and has drafted Employment Contracts for some High Profile Clients. Throughout her career, Yvonne has had a keen interest in Entertainment & Sports Law and has drafted Employment Contracts for some High Profile Clients. She also has experience in Civil Litigation and Criminal Litigation.